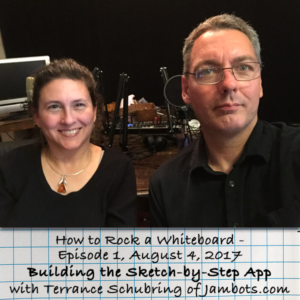 Follow Pixie Dust’s CEO, Lori Lorenz’s journey to whiteboard greatness as she interviews whiteboard presenters, graphic facilitators, and artists. She also shares her own tips, whiteboard drawing secrets, and visual communication strategies. Listen to Terrance and Lori give you a look under the hood to see the inner workings of the Sketch-by-Step app engine. The journey from idea to launch has many stories.